Note: all opinions expressed below are my own. One of my favorite things about the Fourth of July is the annual The Twilight Zone marathon. As someone who was born about thirty years after the series originally aired, The Twilight Zone marathon allows me to take a step back into the past and see first hand what so many shows nowadays pay homage to. On top of that, I am able to witness (usually through metaphor) how Rod Serling addressed the issues and fears the average American faced at the time. Issues regarding the fear of technology, xenophobia, death, fate, among others. 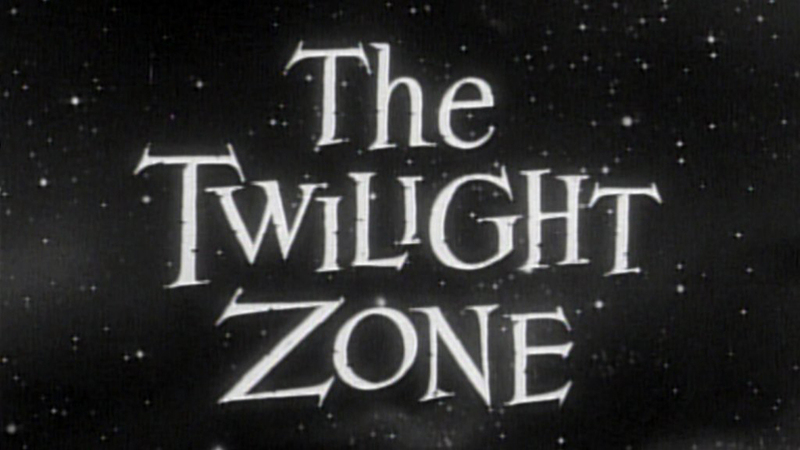 The biggest issues I believe The Twilight Zone ever tackled were regarding race and the consequences of forgetting one of humanity’s most devastating actions: war. Given the current social and political struggle our country is currently going through, there are two episodes I was dying to watch: “Deaths-Head Revisited” and “I am the Night – Color Me Black”. For those unfamiliar with these episodes, I’ll provide a brief synopsis of each. In “Deaths-Head Revisited” tells the story of former SS Captain Gunther Lutze who returns to Dachau concentration camp to reminisce and gloat over getting away with the atrocities he and others committed there. He is surprised to be confronted by the ghosts of prisoners he tortured, who are more than ready to deliver retribution to the captain. The prisoners force Lutze to undergo the same horrors he put them through, which eventually drives him mad. He is found by citizens of the town, who after taking the captain to an institution, ponder why we let Dachau – a monument to one of our failures of humanity – continue to stand. In “I Am the Night – Color Me Black”, Sheriff Koch prepares for an execution by hanging, but finds that on this day the sun has not risen. The accused, a man named Jagger, is to be hanged for a crime he allegedly committed. Jagger is alleged to have killed a bigot in self-defense, and there is uncertainty surrounding his guilt. Despite this, the town is out for blood, and Jagger is hung. The townsfolk are surprised that not only does the sun not rise, the sky gets even darker. As the episode ends, a radio broadcast reveals that the sky is also dark over a portion of Vietnam, the Berlin wall, and various cities around the globe. It doesn’t require an expert to look at the news headlines and see that not only have we forgotten Rod’s warnings, we are willfully ignoring history repeating itself. We are on the precipice of falling into despair, into chaos. Into entering the Twilight Zone. So what can be done to avoid that? Read the news, even though it’s upsetting. Ask yourself if you’re okay with what is going on. If the answer is no, find way to get involved in the community, organizations you can support, and raise your voice to injustice. If the answer is yes, ask yourself if you would be okay with these injustices happening to you. The signpost up ahead may say The Twilight Zone, but there is still time to drive past it onto a new town, a new future. The light has not gone out yet. Let’s work together to ensure it doesn’t.